Face it, folks. They want to kill us ALL. Lefties hate us with every fiber of their being. I think it is almost a holy (deluded) mission to them. The restaurant has more to worry about than Savage. I've always been amazed how Savage managed to live and work in Sodom-On-The-Bay for as long as he did. It's a wonder he didn't turn into a 'pillar of salt' looking back in his rear view mirror??? Last edited by S-N-A-F-U; 01-04-2019 at 04:48 AM. But the behind-the-scenes story is a bit different. 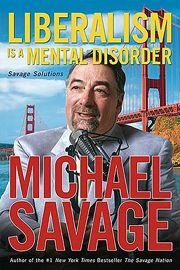 According to Horowitz, who said he’s seen “the emails back and forth” between his client, Savage, and the radio powers-who-be, “The Savage Nation” is actually poised to go dark on WABC on Jan. 7. Savage has been Blackballed by Foxsnews for almost 10 years (First under strict guidance of Bill O'Liely then after his ouster Sean Hannity carried it over with threats of "Time Off" and other repercusions to any Show Host ,Guest Host or panelist or contributer who Has Savage on or Mentions his name . Savage Weiner is a drama queen. Someone communicating threats against someone unimportant, needs to be prosecuted; but it's of relatively-low priority. And few people are less important than Weiner. He's a fuggin' drama queen. I don't GAF about what awards he's given himself, or bought. I'd listened to him, along with others, in the days before podcasts. He PRETENDS to conservatism. He wanted government to set the price of gasoline...he wanted it set LOW, but that's not how those things work out. Free markets? He doesn't understand or trust them. He was endlessly babbling on about how lousy modern cars are - they didn't have the GOOD stuff, like wraparound windshields and tailfins. He was doing this about 2000, which - in my considered opinion - was a Golden Age of auto engineering. That was when engine long-life and carbody rust-resistance became perfected. Just two years ago I sold a 20-year-old Toyota pickup, with 288,000 miles on it...no perforations in bed or cab...you never saw that in the 1980s or 1950s. Know who owns that Rockstar Energy Drink company? Yeah...Savage Weiner. "Party Like a Rock Star." A cynical imitation of Monster. He's a double-dealing, closet-Statist POS. If they can silence Savage, who will be there on the radio to speak up and present the point of view you find preferable? Last edited by leecross; 01-04-2019 at 01:44 PM. I don't think it should be discounted. But someone making threats against the Weiner, is about as important as someone making threats against the booth announcer at WLS-Chicago.